Oil and sand on cardboard. Together with Jean Metzinger and Henri Le Fauconnier, Albert Gleizes was one of the organisers of “Salle 41” at the Salon des Indépendants of 1911, which marked the introduction to society of the Cubists, with the absence of Picasso and Braque. In 1912 he and Metzinger published Du Cubisme, the first theoretic essay on the movement. During the Great War the artist managed to avoid being called up and divided his residence between New York and Barcelona. 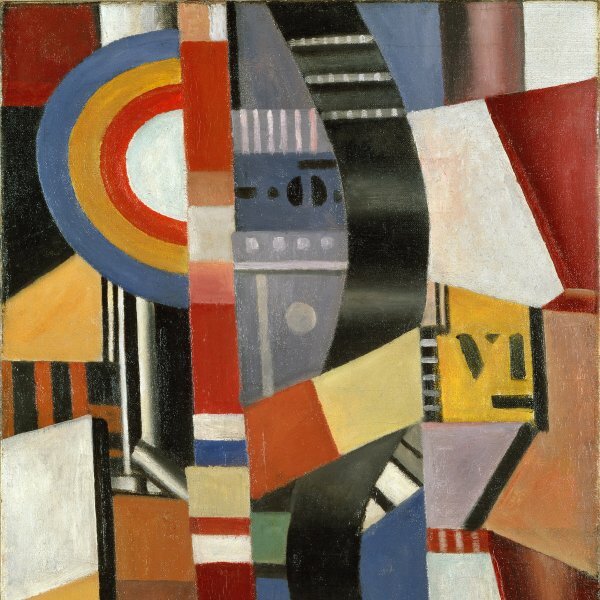 In the summer of 1916, which he spent in Spain with his wife Juliette Roche, he came into close contact with the group of artists who had sought refuge there during the war, such as Francis Picabia, Robert and Sonia Delaunay, and Marie Laurencin and her German husband Otto van Watgen, and remained faithful to the Cubist language. 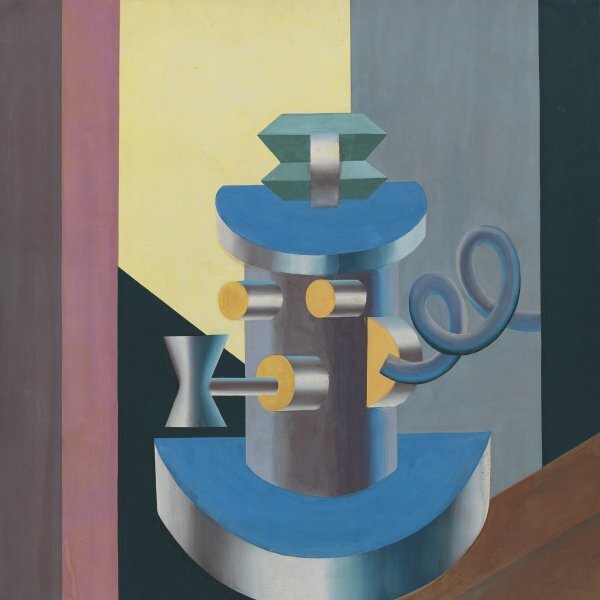 As Kenneth E. Silver suggests, the war aroused stronger nationalist feelings that identified with Cubism for the former members of the avant-garde like Gleizes. The existence of numerous preparatory studies for this large oil painting suggests that the painter put great effort into it. 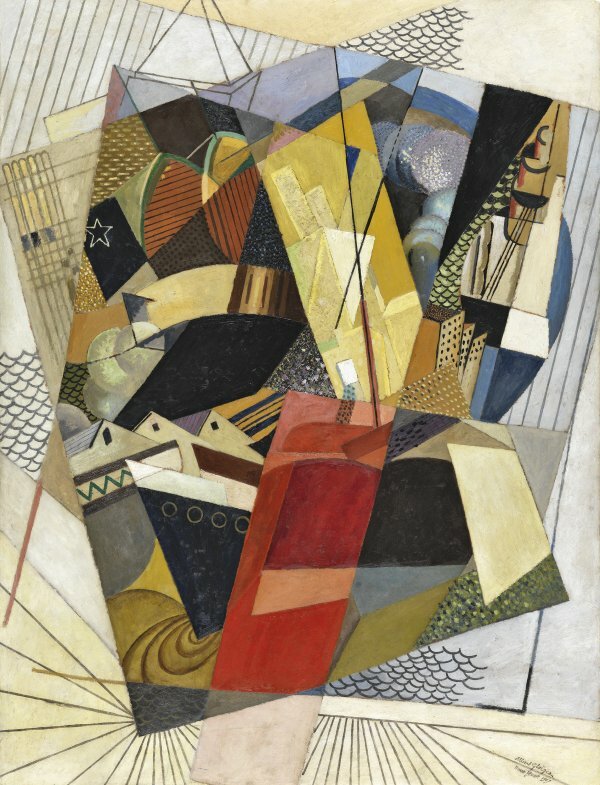 There are two early studies of The Port of Barcelona, which he made while in the city — a horizontal ink drawing and a composition on paper which is published in the catalogue of the retrospective exhibition of Gleizes’s oeuvre held in 1964 — and four vertical compositions produced in New York between 1916 and 1918. The final work was purchased from the artist in 1936 by Solomon R. Guggenheim (1861‒1949) and remained in the collection of The Solomon R. Guggenheim Foundation for a fairly long period. It was shown in The Art of Tomorrow. The Museum of Non-Objective Art, the opening exhibition of the collection staged in 1939 by Hilla Rebay at its first premises on 54th Street in New York, and in the major retrospective of the artist’s work organised at the museum by Daniel Robbins in 1964. It entered the Thyssen-Bornemisza collection in 1975.